It's an official app straight from Google, too. 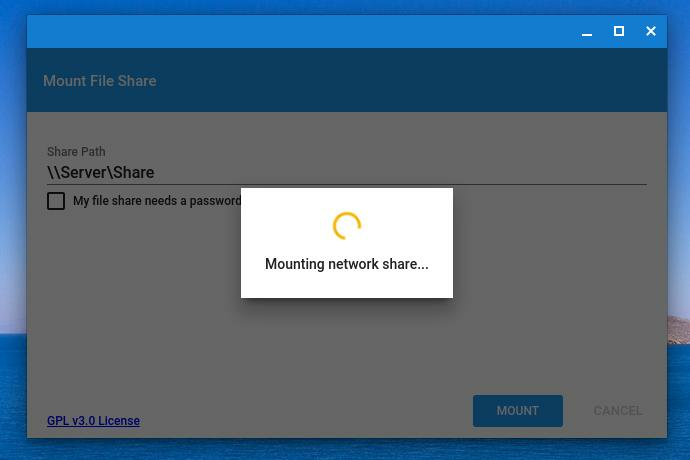 Google just released a new Chrome OS application that allows Chromebooks to seamlessly access network file shares created by Windows PCs. This integrates network file shares directly into the Files app and the browser’s Save and Open dialogs. You can install the Network File Share for Chrome OS application from the Chrome Web Store. Developed by Google, this application incorporates the open-source Samba client used by Linux PCs and other devices to connect to Windows network shares. It can connect to any SMB-based server and supports Samba’s entire set of features. Google has published the application’s source code on GitHub. This isn’t just a stand-alone application, either. It uses the File System Provider API to integrate directly into Chrome OS’s Files app and in file dialogs elsewhere in the operating system, so network servers live directly alongside Google Drive and the Downloads folder. There was already a third-party File System for Windows application in the Chrome Web Store, but it has poor reviews and doesn’t seem very reliable. Google’s solution should be much more solid. This is yet another useful application that takes advantage of the features Google added back in Chrome OS version 40. You can open the Files app on Chrome OS and select Add New Services to find more file system providers. Other available applications include those for integrating Dropbox, OneDrive, SFTP, and WebDAV file systems directly into Chrome OS’s Files app. Unfortunately, service providers haven’t gone out of their way to support this feature—the Dropbox and OneDrive clients are third-party tools and weren’t created by Dropbox or Microsoft themselves. The Network File Share provider, however, is particularly useful because network file shares don’t generally offer Web access. They’re also common in many businesses and schools. There was no real way to access these file shares on a Chrome OS before the file system provider API.